Affordable labels that don’t compromise quality! Get vinyl for the price of paper. • Consecutive numbering on every set makes inventory and asset management a snap. • Premium die-cut shapes keep square corners from flagging. • Plastic materials include removable polyester cloth, brushed polyester, tough aluminum foil, tamper evident labels, and more. • Paper options include a recycled paper label and labels that work in cold temperatures. 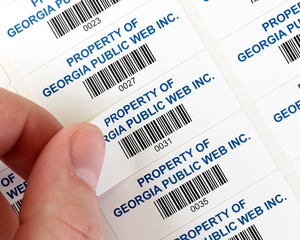 Create your own barcode labels online. 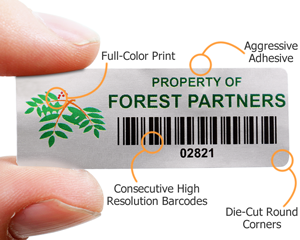 Wizard will produce a sheet of barcode labels automatically for you to download and print yourself. • Select a shape for your barcode labels. In the next steps, you choose a size, personalize text and select a material. Select a size for your rectangular label. You will be able to select a design, change color, personalize text and specify your barcode numbering on the next page. Certain best selling sizes have a greater range of templates available. Minis: 0.20" x 0.65" to 0.5" x 1.0"
Select a size for your Square label. You will be able to select a design, change color, personalize text and specify your barcode numbering on the next page. Certain best selling sizes have a greater range of templates available. Select a diameter for label. You will be able to select a design, change color, personalize text and specify your barcode numbers on the next page. Certain best selling sizes have a greater range of templates and materials offered. 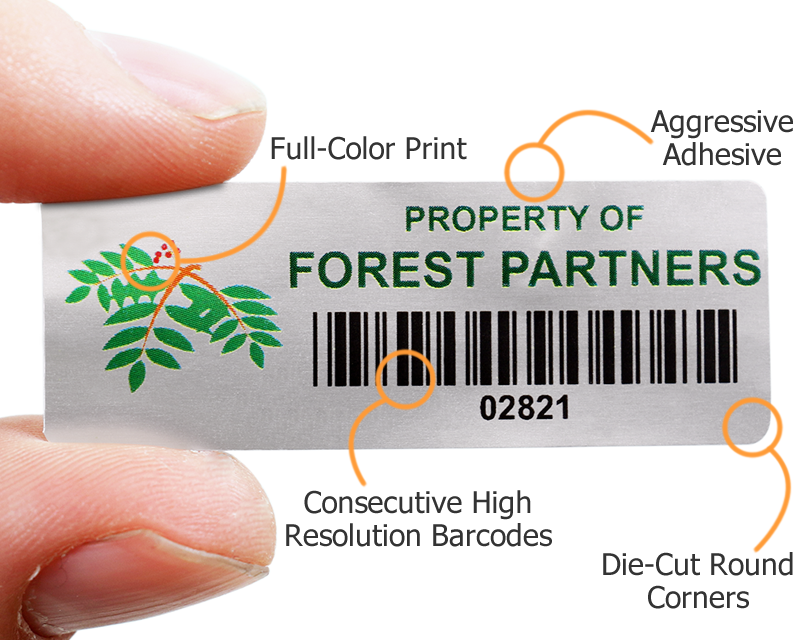 The smallest sizes are only available with 2D barcodes. Select a size for your oval labels. You will be able to select a design, change color, personalize text and specify your barcode numbering on the next page. Select a size and shape for your labels. Multipart designs allow you to print the same numbers on companion labels (great for forms, for example). You will be able to select a design, change color, personalize text and specify your barcode numbering on the next page. 5 Stars - Says American Gainz Nutrition!!! A representative contacted us when our order didn't look right, and custom-built the label to meet our exact needs. Labels look great and exactly what we asked for. Only wish we could've ordered these on a roll instead of a sheet. Great price. Simple, perfect product. Awesome labels. Super fast delivery! Turn around time... VERY QUICK. Received exactly what I ordered. Thank you.